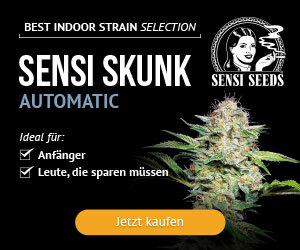 Late September / early October promises to be a busy time for functional glass art in the UK. 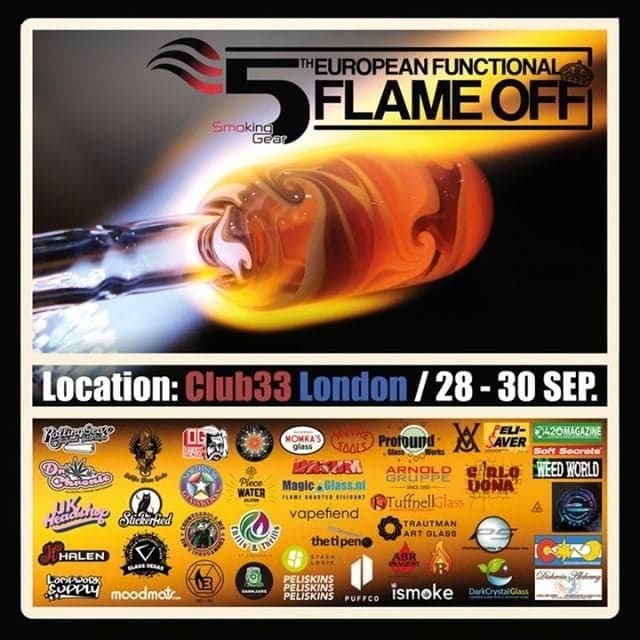 From 28-30th September at Club 33 London, the 5th Annual European Flame Off will be taking place. This competition which will see glass artists going head to head to produce functional glass art. Now in its fifth year, this is the first event of its kind to take place in the UK. 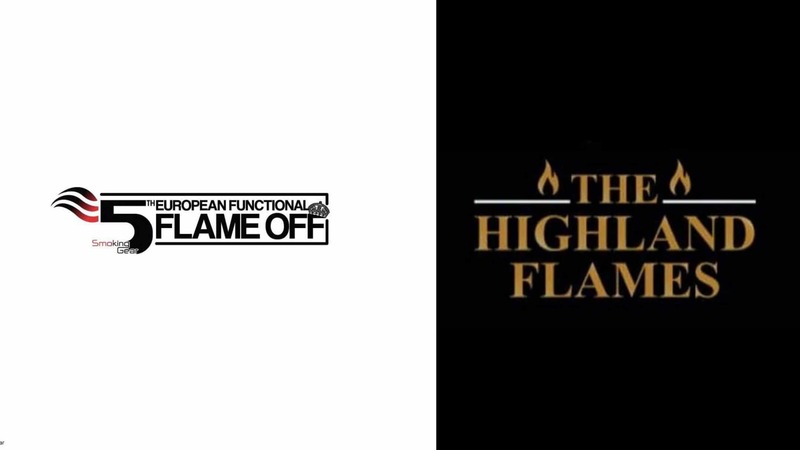 Organised by Smoking Gear, the EFFO looks like it is going to be an exciting competition! Then from 6-7th October at Carbeth Fishery, Stockmuir Road in Scotland The Highland Flames event is taking place. 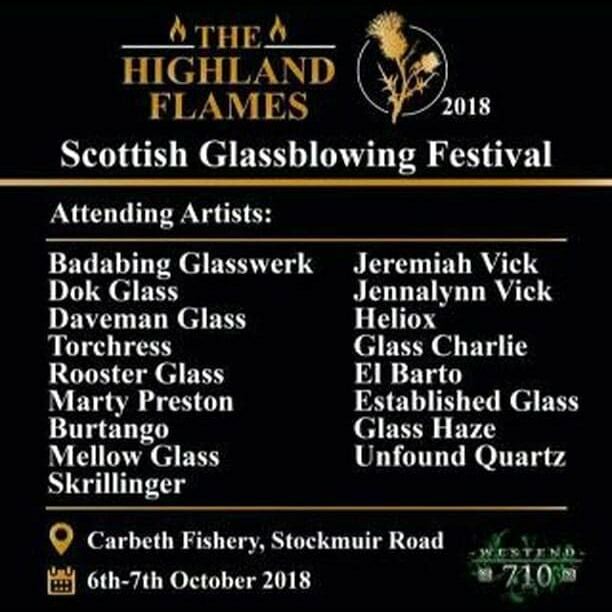 This Scotish Glassblowing Festival will feature more glass artists from the UK and beyond, and will have glassblowing lessons, demonstrations and more. We will be covering both of these events on the ISMOKE channel, so if you can’t make it down make sure you watch our event videos on YouTube. 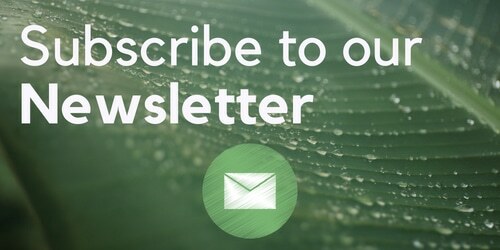 You can also sign up to our mailing list here to never miss an ISMOKE post again.